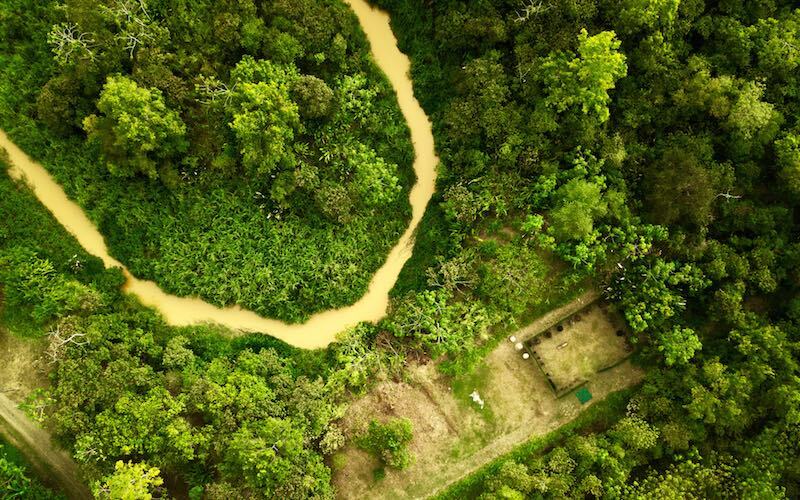 From a river safari to scuba diving to hikes through the rainforest, Sierpe is a nature-lover’s paradise. 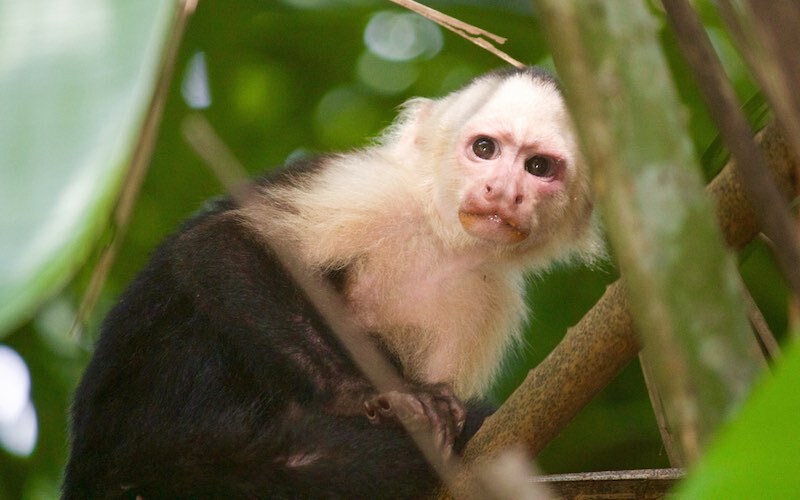 In around 3 hours you can see 3 of the 4 monkey species that can be seen in Costa Rica: white faced, titi (which is endemic to the region! 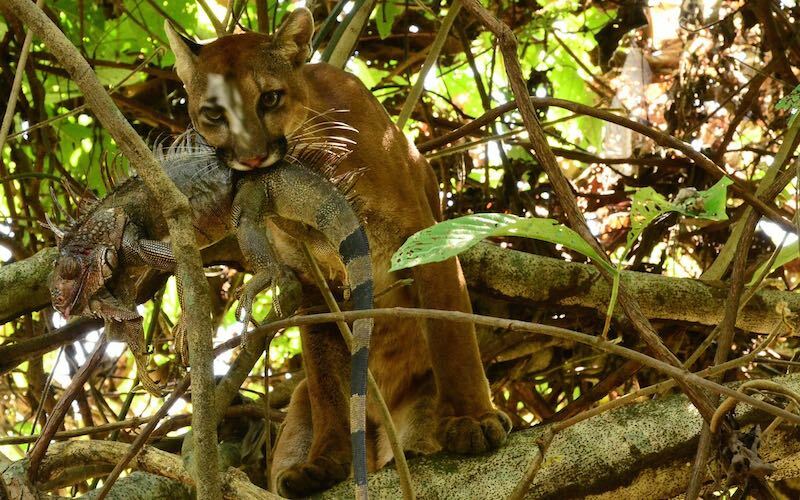 ), and howler; along with sloths, anteaters, coatis, raccoons, various types of snakes, crocodiles, alligators, iguanas, turtles, bats, and over 50 bird species all from the comfort of your boat! 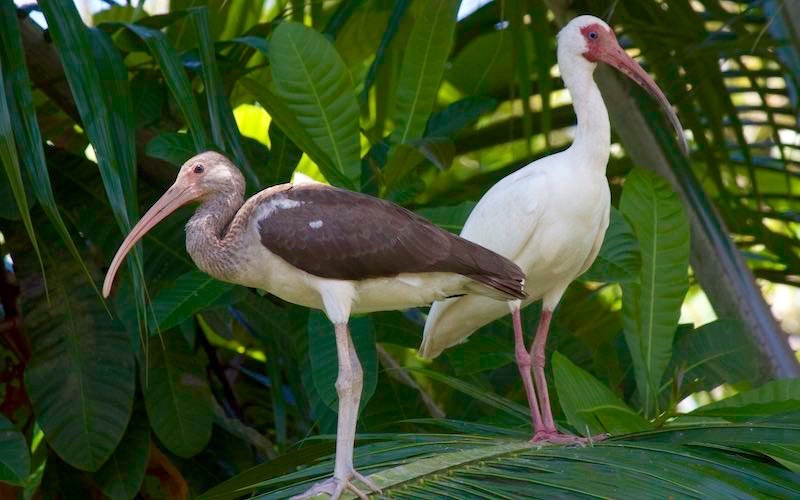 *It’s important to note that the primary purpose of this tour is to observe wildlife, not explore the mangrove systems. 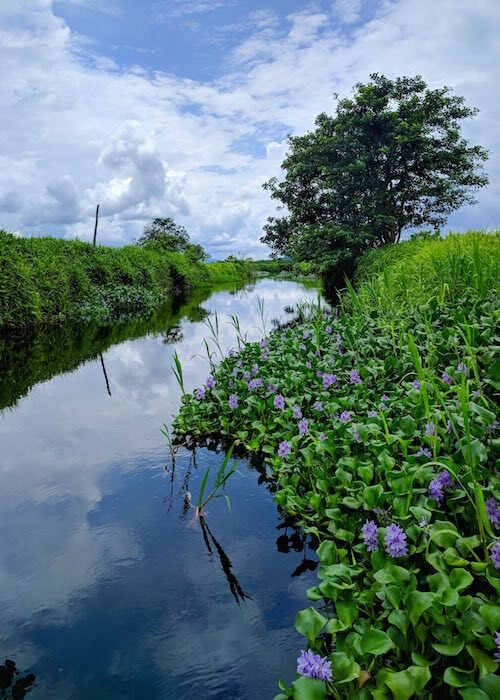 Though the primary purpose of this tour is not to explore the vast channels and mangroves of the river, you’ll still be exploring a bit of the river while going in search of all this wildlife. 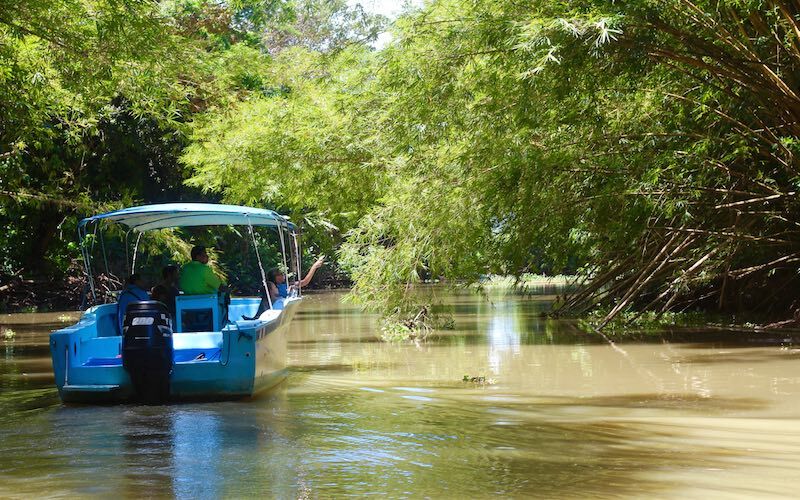 If what you’re really interested in is exploring the myriad of water channels and mangroves that Sierpe has to offer, a thrilling boat ride on a mangrove tour weaving in and out of the countless river channels is probably what’s best for you. This tour will take you down river, where you’ll get a glimpse at the true enormity of the Sierpe River. 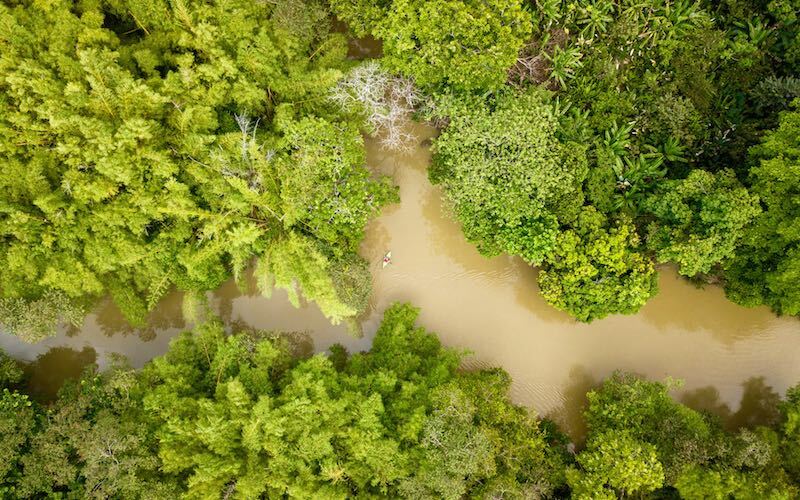 During your tour, you will observe 5 different mangrove species, red mangrove or crawler mangrove, black mangrove, pineapple or red knight mangrove, salty mangrove, and ladybird mangrove, and will be given extensive information about each one and its importance to the river ecosystem. 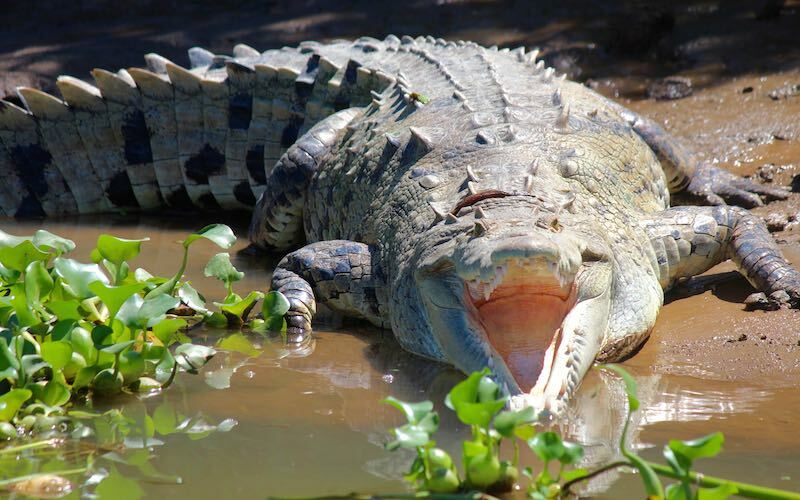 *It’s important to note that the primary purpose of this tour is to explore the mangrove systems of the Sierpe River, not wildlife.Though the primary purpose of this tour is not to see wildlife, you’ll still have the chance to see many different bird species, snakes, crocodiles, and crabs. Go all the way up to the laguna where it all begins for the Sierpe river. 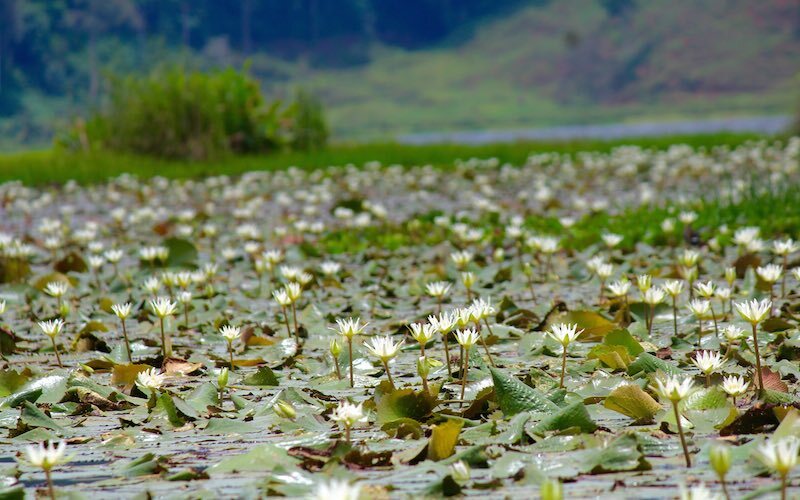 This tour will include a stunning 2 hour ride up river, that will end in a beautiful laguna covered with lily pads. 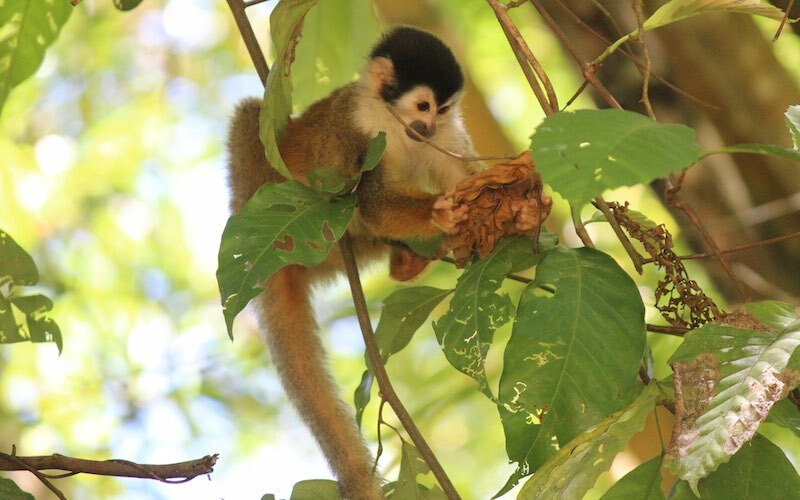 During your tour it’s likely you’ll also get to see various different types of wildlife, including crocodiles, many different birds, monkeys, and snakes. It’s worth noting that the focus of this tour is mainly a beautiful boat ride. It isn’t as stop and go as are the other tours, given that the destination is a long boat ride away. 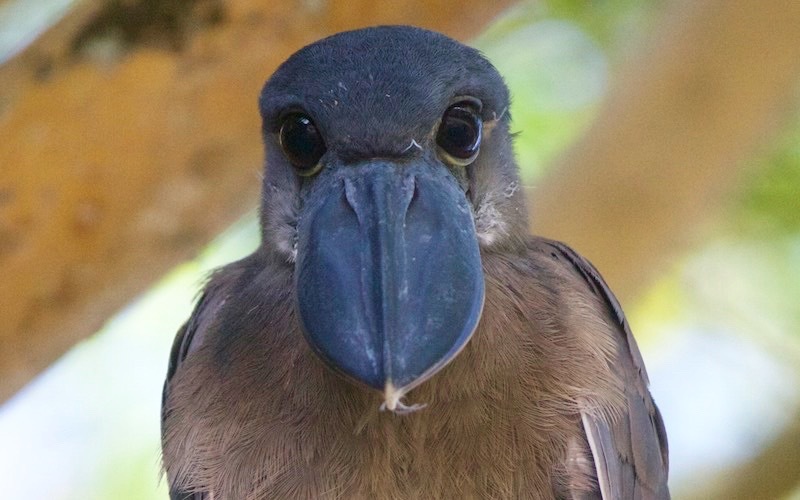 The first option is to make the trip all the way down river to the mouth of the river, where the tour will focus on the sighting of aquatic birds and birds of prey that live in the mangrove forests. 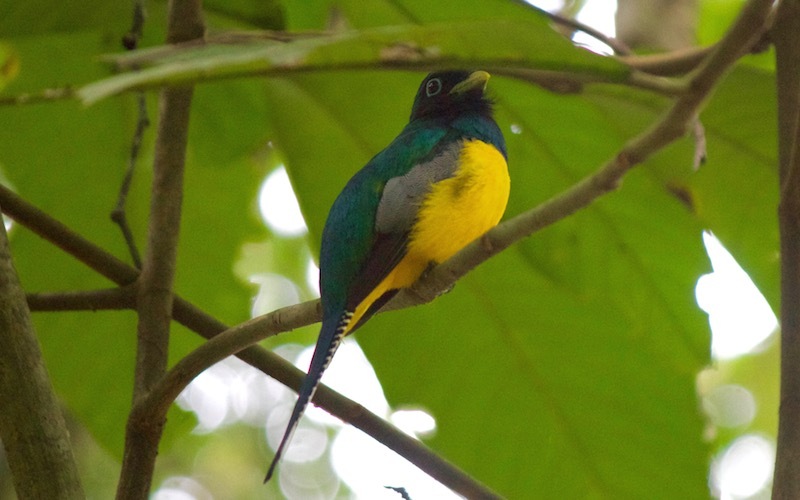 Additionally, this option provides the opportunity to see two species of birds endemic to south Costa Rica: the yellow-billed cotinga (Carpodectes Antonia) and the mangrove hummingbird (amazilia bucardi). 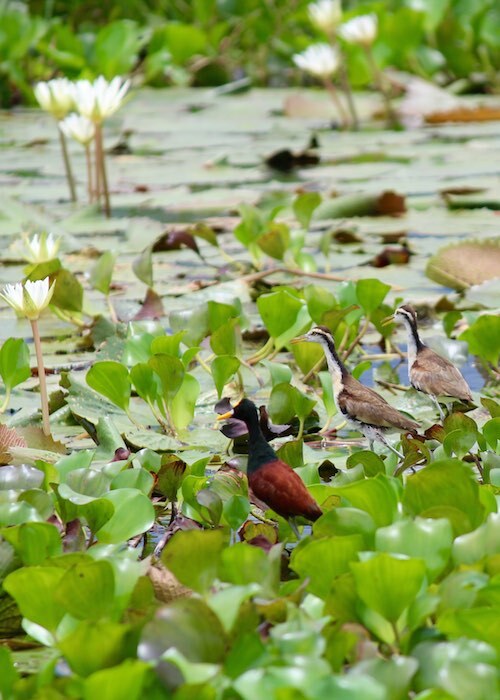 The other option is to take the tour upstream, where you’ll be able to see both aquatic and terrestrial bird species, such as the purple gallinules, blue herons, green egrets, flycatchers, mangrove swallows, trogons, seedbeds, scarlet macaws, toucans, parrots, parakeets, various birds of prey, and many other species. Did you know that roughly 70% of animals are active at night? So if you truly want to see what dwells in Osa’s rainforests, you have to do it at night. A couple hours out under the cool, night sky is sure to expose you to a huge variety of animals you couldn’t hope to see in the daylight. 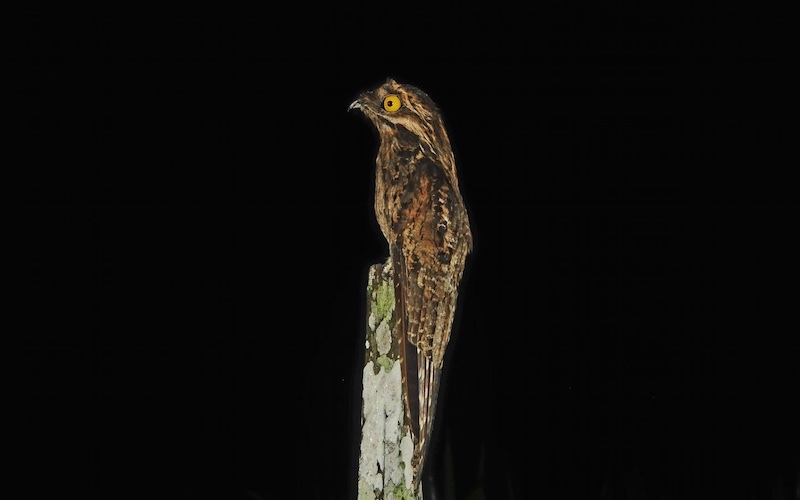 There are two ways to enjoy una experiencía auténtica at night: a frog night hike, or a night tour of the river by boat. 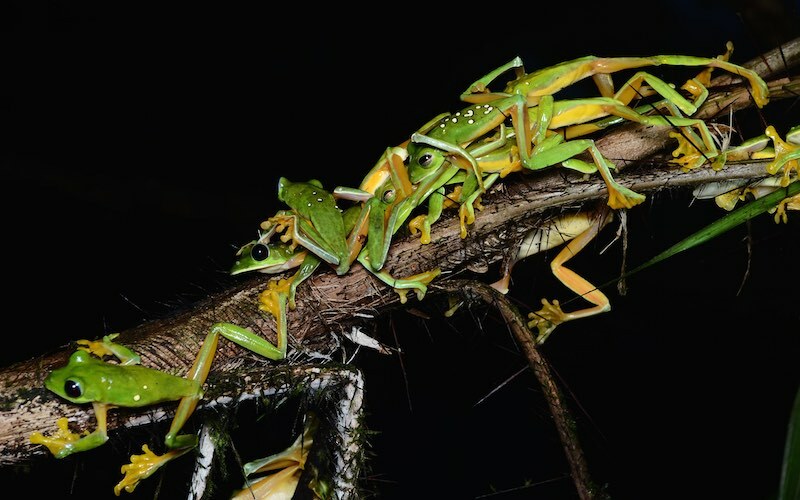 Sierpe de Osa has the most abundant and diverse range of amphibian and reptile species, or herbalofauna, in all of Costa Rica, and you’ll have the highest chances to see as many as possible on a frog night hike tour. In just a 3 hour hike on trails such as La Rana, Spurrelly Trail, Vittatus Point, and Glass Frogs Trail, you will have the opportunity to see more than 50 species of amphibians, including many different poison dart frogs, salamanders, glass frogs, tree frogs, rain frogs, and leafy frogs. If you’re looking for a unique river tour, then a night safari on the Sierpe River is exactly what you’re looking for! In the safety and comfort of a boat, you’ll set out with powerful spotlights, searching for green, orange, and red eyes looking back at you. Behind these brightly colored eyes, you’ll find a wide variety of mammals such as marsupials (mammals that famously carry their young in a pouch, like kangaroos); reptiles like crocodiles, snakes, and boas; nocturnal birds, along with daytime birds that are hiding from their night time predators; and amphibians such as the bull frog, which is the second largest amphibian in Costa Rica. This is sure to be a boat ride like you’ve never had before. 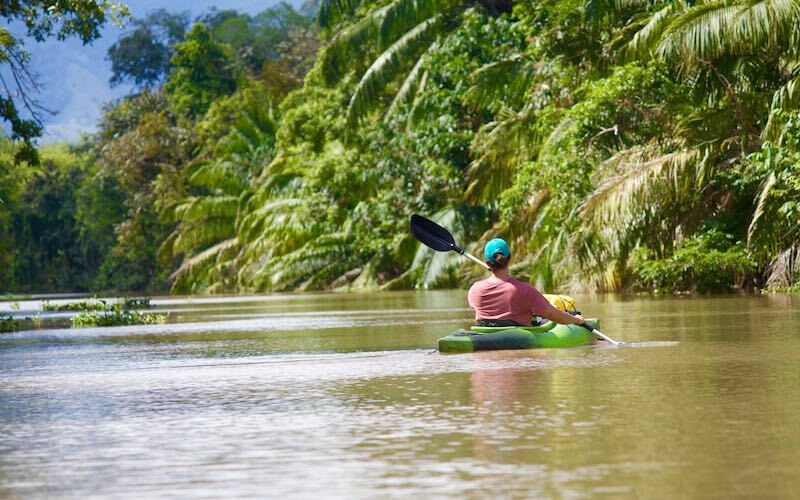 An alternative option for those that are looking for a more private, active, immersed, and natural way to explore the river is to do so by kayak. This can be arranged, with a tour guide, for all the above tours. When you’ve found what interests you, head over to our tour operators page to get more specifics, get to know Sierpe’s tour operators, and compare prices. Commonly referred to as one of the best National Parks in the world, with it’s only true competition being World Wonders, such as The Grand Canyon and The Galapagos Islands, Corcovado National Park is truly una experiencía auténtica that’s unacceptable to miss out on. 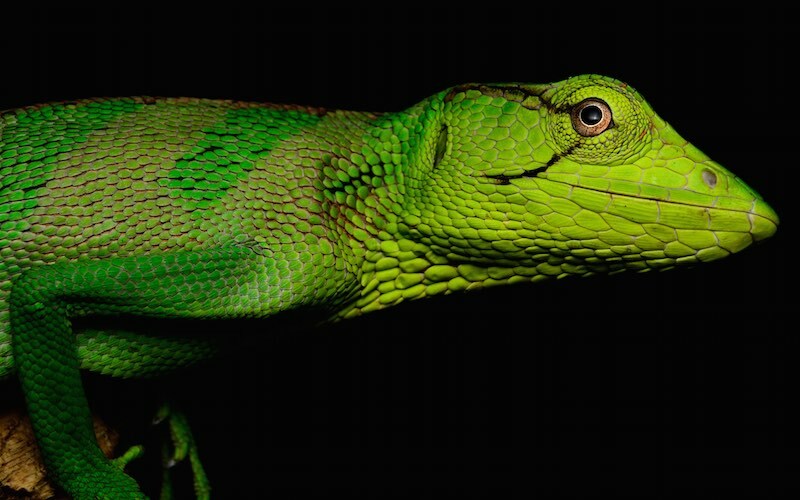 National Geographic has famously referred to it as “the most biologically intense area in the world when it comes to biodiversity”. Yeah, we aren’t messing around here! Corcovado is a vast tropical rainforest that sits on the edge of pristine, virtually untouched, beaches. 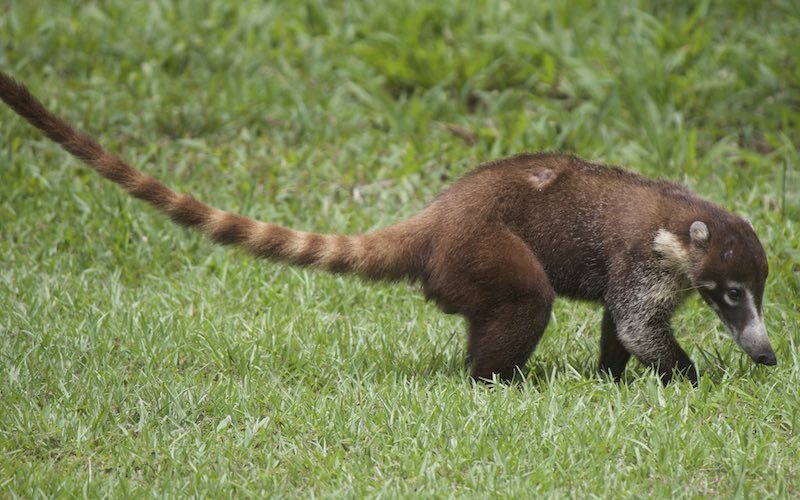 Within the park, you can find 2.5% of the entire planet’s biodiversity, such as jaguars, pumas, tapirs, anteaters, sloths, spider monkeys, titi monkeys, howler monkeys, white-faced monkeys, mountain pigs, javelinas, and a huge variety of birds, some of which are endemic, such as the yellow-cheeked continga, the turquoise continga, and the antbird tanager. 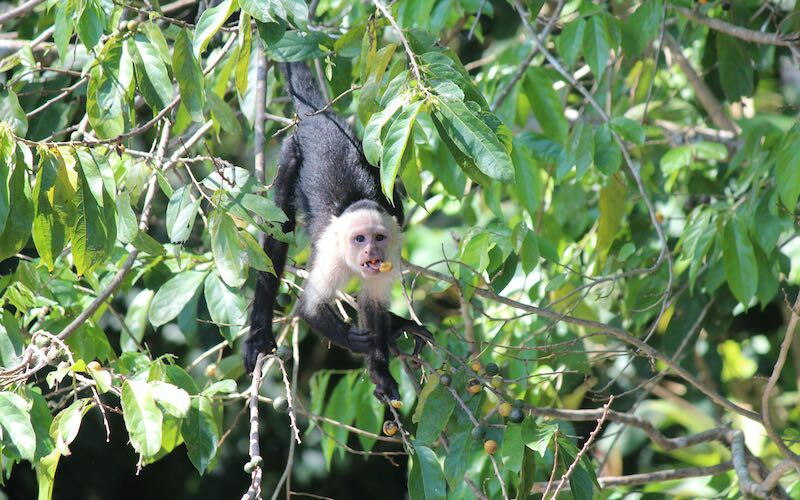 By now, you’re probably sold and have undoubtedly started planning your trip to Corcovado, so let us mention that included in our Corcovado tours is a 40 minute boat ride through the most extensive mangrove system in all of Costa Rica on the enormous Sierpe River. We promise, you won’t find that offered elsewhere. 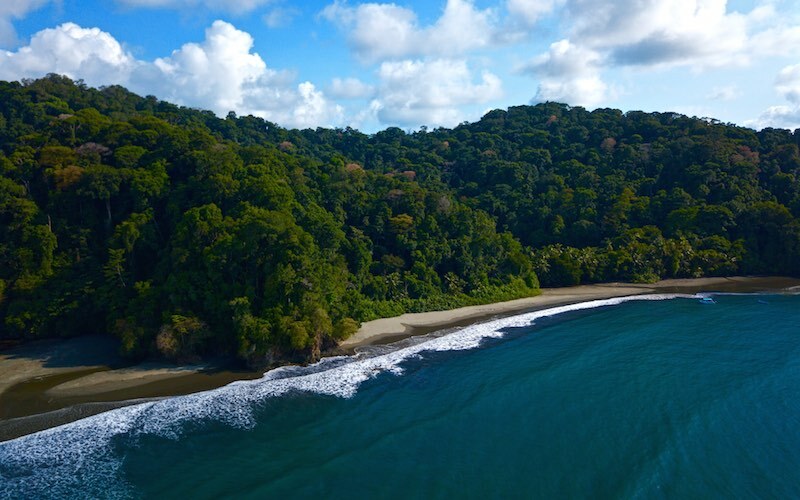 A fun fact about Corcovado you won’t get just anywhere is that it’s extremely rich in gold! In the past, it was commonly lusted after by illegal miners who wanted to exploit its natural riches. 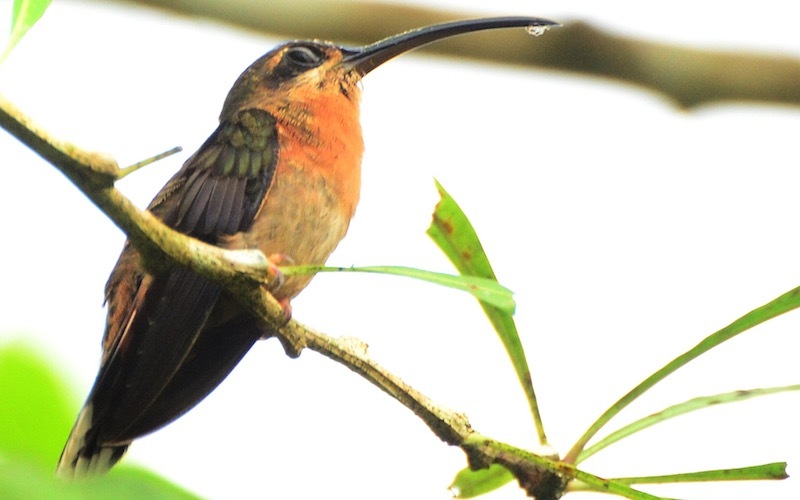 Thankfully, as Corcovado has become a world-renown national park, locals have taken extra care to conserve this rare beauty. It’s possible to run into park rangers who used to be illegal miners or poachers who have since given up their destructive professions to now protect and conserve the area they previously sought to plunder. 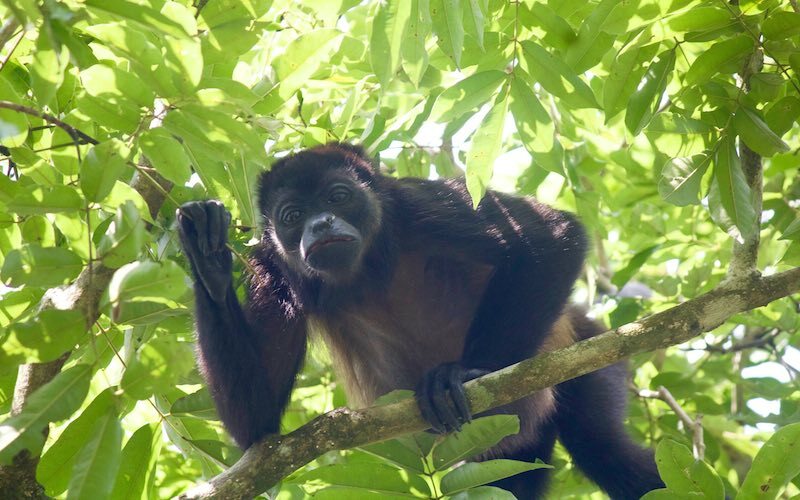 Sustainable tourism in Corcovado is absolutely vital for the future of Corcovado, as it ensures that locals will continue to protect and conserve the park for the large amount of eco-tourism it receives, instead of exploiting it in ways that would erode away at the biodiversity it possesses. 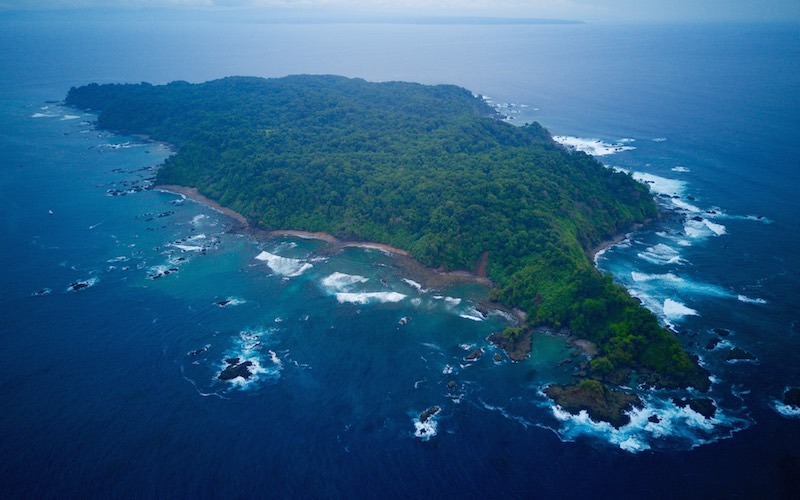 Isla del Caño is a complex and fragile jewel of marine biodiversity that is home to many species that cannot be seen in other destinations along the Pacific coast. Truly, it’s hard to find a more remote beach get away than this. While the beaches will make your jaw drop, the water that surrounds Isla del Caño is where the true treasure lies. There are 2 kilometers of protected waters around the island in every direction. You have two options to enjoy una experiencía auténtica in these spotless turquoise waters with the virtually countless species of marine life that they host: a scuba diving tour or a snorkeling tour. 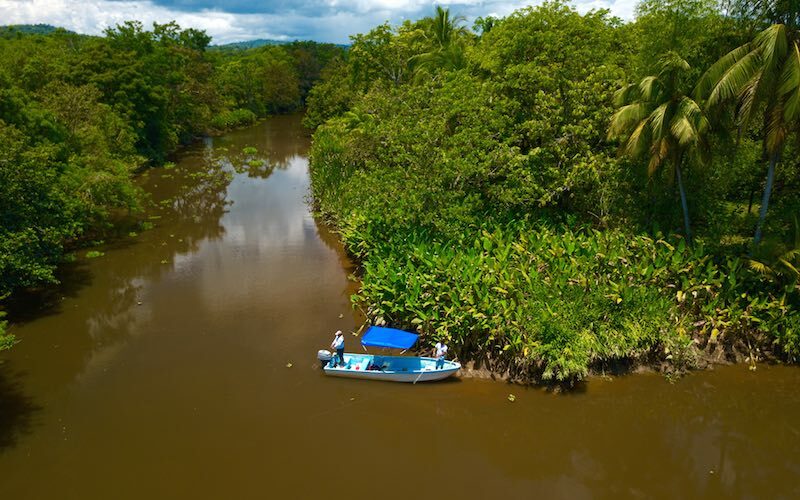 With either option, you’ll enjoy a wonderful boat ride through the largest mangrove system in Costa Rica on the wild Sierpe River, all the way out to the ocean, where you’ll have the possibility of seeing both dolphins and whales. 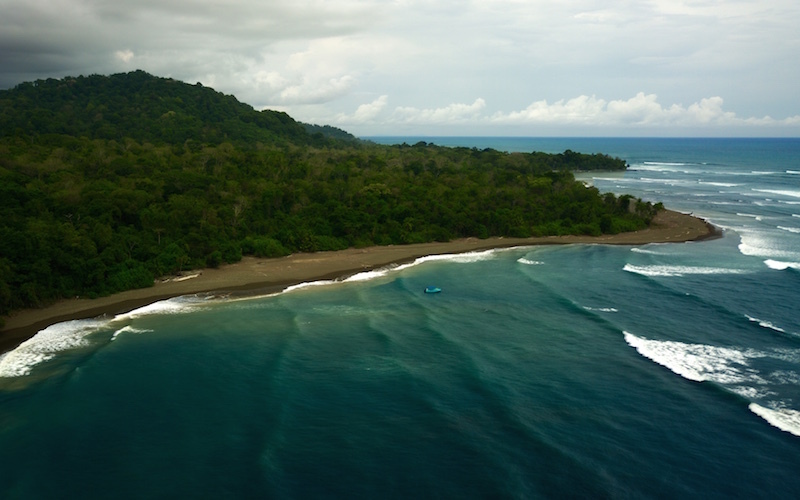 Additionally, you can expect to enjoy some time on isolated tropical beaches that you’ll remember for years to come. Isla del Caño is recognized as one of the best dive sites in all of Costa Rica, with various dive spots that offer an incredible diversity of marine life, including whale sharks, bull sharks, white tip sharks, black-tip sharks, nurse sharks, sea turtles, manta rays, grouper fish, and, depending on the season, humpback whales. Additionally, Isla del Caño has some coral reefs to explore that are home to innumerable colorful fish and other marine organisms, where you can find yourself in the middle of a school of fish, or face to face with one of the beautiful eel species that these precious waters offer. Isla del Caño is a great place to snorkel due to its crystal clear waters. 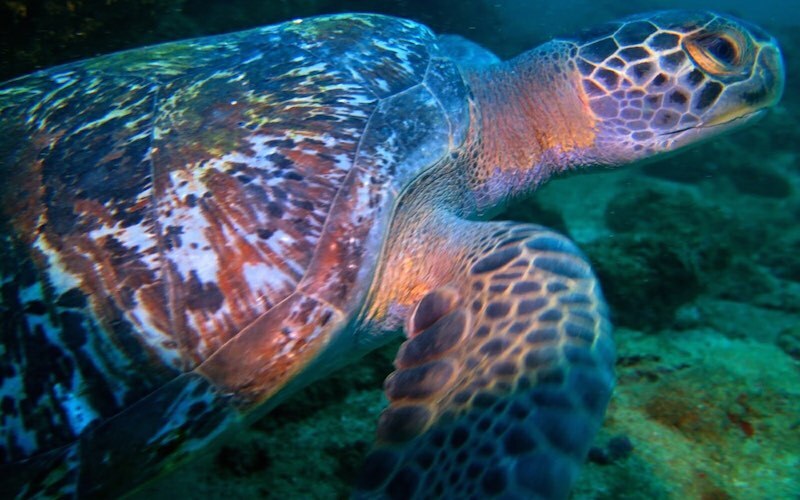 In great snorkeling spots such as the shark cave, anchor, boat, garden, or school of the horse mackerel, you can expect to observe white tip sharks, hawksbill turtles, manta rays, devil rays, sting rays, parrot fish, and plenty more marine life. 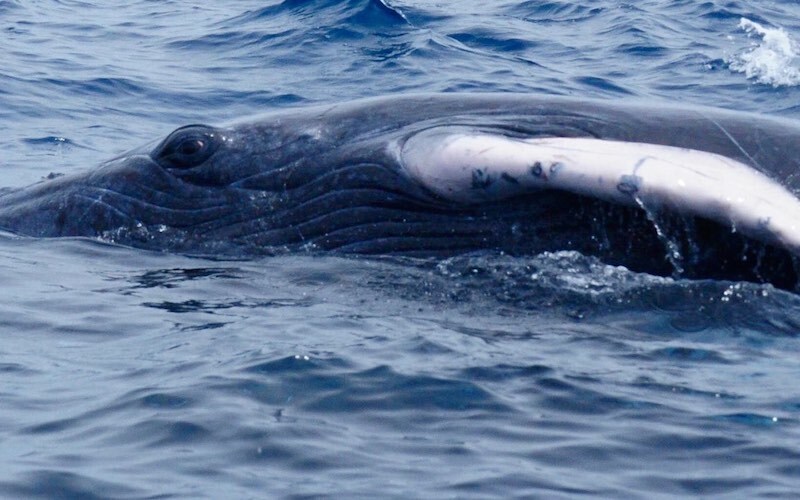 Between the months of July and October in Sierpe you can observe one of the most incredible migrations in all of nature: that of the humpback whales. The humpback whales come all the way out to our small little section of ocean to give birth to their calves, and then proceed to migrate back to colder waters in the north. 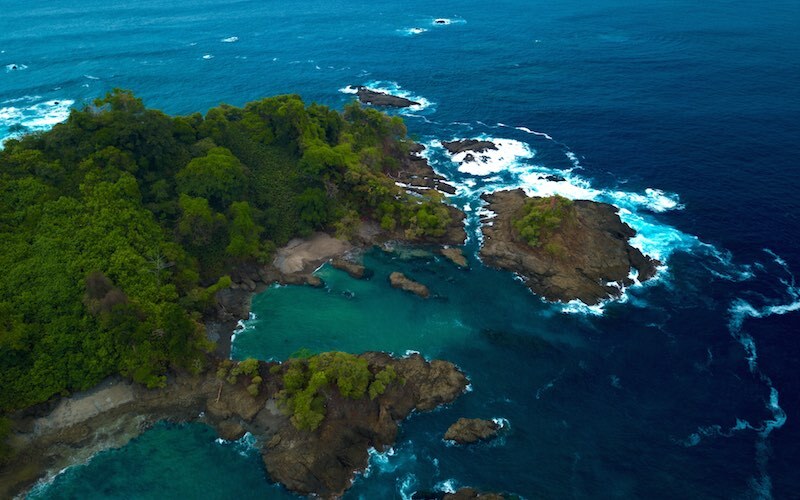 The tropical waters of the Osa Peninsula are revered throughout Costa Rica as the spot with the largest amount of whale sightings, and hence provides the highest chance for you to see these majestic creatures. Here in Sierpe, we offer una experiencía auténtica of the highest quality, which is so much more than a quick trip out to the ocean and back, like some of our neighboring destinations unfortunately do. 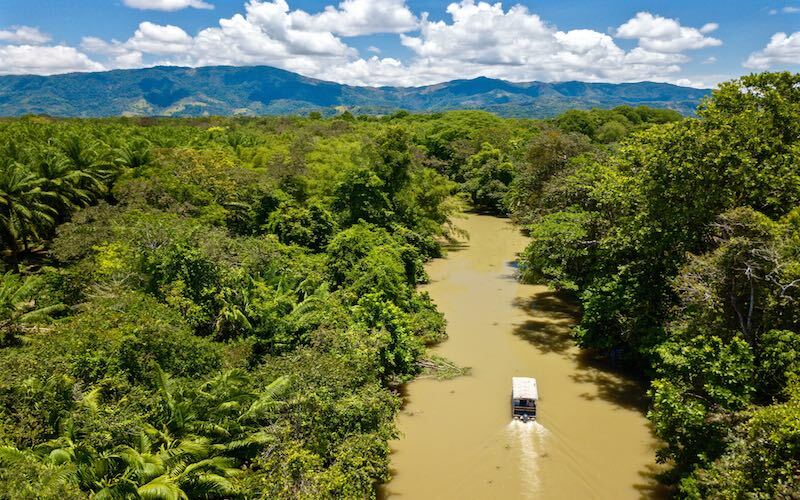 In fact, included in our whale watching experience is a trip down the most extensive mangrove system in all of Costa Rica on the awe inspiring Sierpe River, therefore exposing you to a variety of natural environments on this one tour. What’s more, you can make the experience an even more nature packed day by combining your whale watching tour with a trip to Isla del Caño or Corcovado National Park! 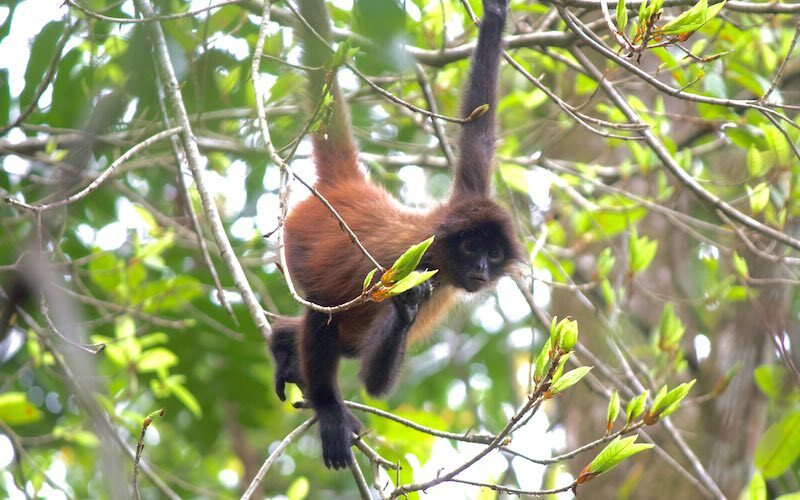 San Josecito is a small, secluded area on the Osa Peninsula close to Sierpe. San Josecito holds many beaches that are accessible to visitors who are up for self-guided hikes around the quiet and natural area. 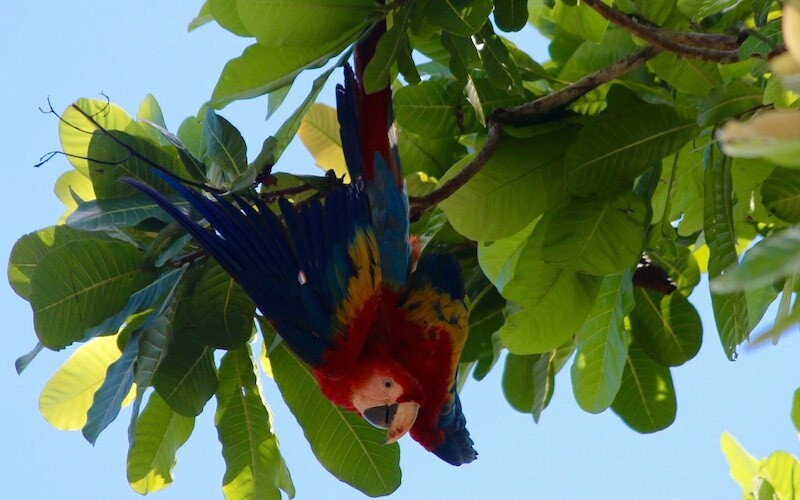 The beaches are covered with palm and almond trees, which are a main attraction for the colorful Macaws that frequently come to snack on them. Río Claro is a freshwater river that runs directly into the salt-water ocean in this area where visitors can swim or just relax. With our vast river systems, and key deep ocean spots, you bet we’ve got some of the best fishing to be had in the entire country here! We offer both artesanal fishing and sport fishing. Artesanal fishing takes place in the river, where we’ll show you where all the locals like to fish. 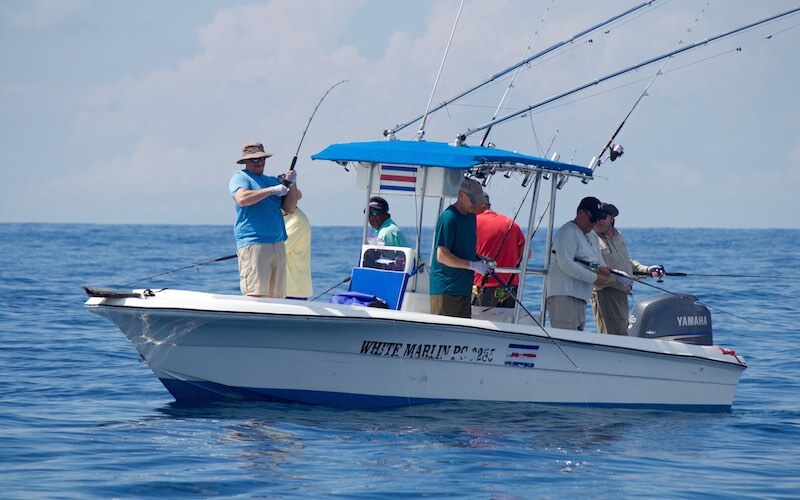 Sport fishing takes place well out past Caño Island, where you have the opportunity to fish Marlins, Sail Fish, Sword Fish, Tuna, and other big game fish. In 1956, during the colonization of the banana company in the diquis valley, a great archeological find was made when some mystical stone spheres were uncovered. The spheres were quiet ancient, large, and almost perfectly round. In addition to the discovery of the spheres themselves, dwelling sites of the ancient civilization that developed and used spheres were also discovered. Since then, the archeological site has been named a World Heritage site by the United Nations. According to studies by archeologists on the civilization that previously inhabited the valley, it was determined that the population of the ancient civilization managed to surpass 250,000 people, and that the valley had been inhabited since around 10,000 B.C. 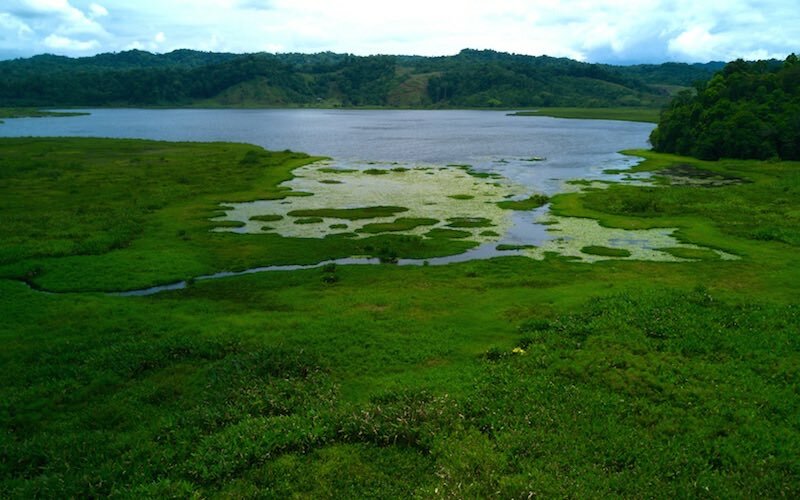 For a quick comparison, the current population of the entire Osa Peninsula area is only 50,000 people. That is to say, the population of this ancient civilization was 5 times larger than the population living in the Osa Peninsula today. About 300 spheres have been discovered, ranging in size from only a few centimeters, to 2.5 meters in diameter, weighing up to 16 tons, and are between 1200 and 2300 years old. 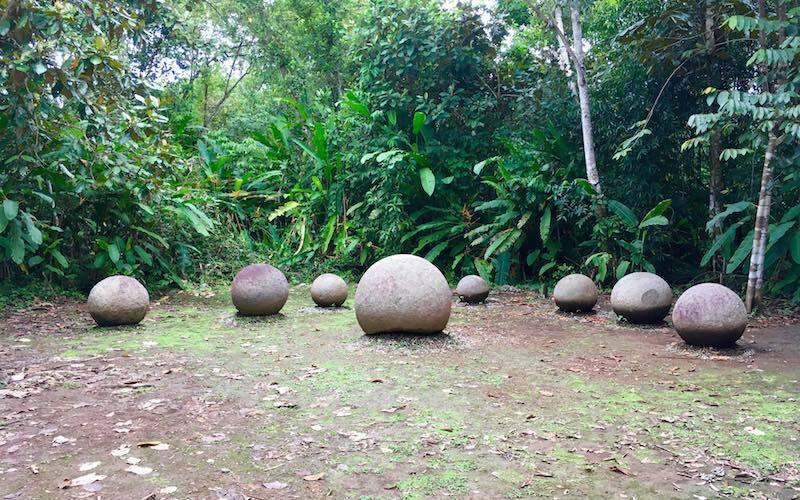 Sites have been found where the spheres have been placed in very specific alignments, at times over large distances, leading to varied hypothesizes about the use of the spheres in this ancient civilization. Furthermore, it is not known how such a civilization with the technology they had would develop such perfectly round stone spheres. To date, there is no definitive answer as to how, why, and for what purpose were these spheres developed. These tours aren’t always listed and promoted by tour operators, so be sure to ask if any of these interest you! See our tour operators page to reserve a tour with an operator of your choice!